Raising awareness and education alongside offering advice and support towards the betterment of (pet) rabbit welfare by promoting RWAF beliefs, standards and educational information. Please bear with us, our new website is currently undergoing Bunstruction. We hope to have it completed over the course of the next few weeks, but only after we dig up the carpet a bit more, chew a on carelessly discarded shoe, make incessant, yet cute demands for more treats, leave a big pile of poop next to our litter box and take lots of well deserved naps…. Phew!! 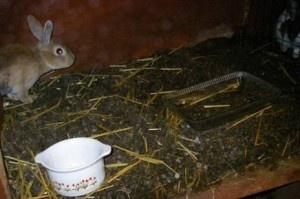 Despite being the third most popular pets in Britain, rabbits are the MOST neglected domestic pet. 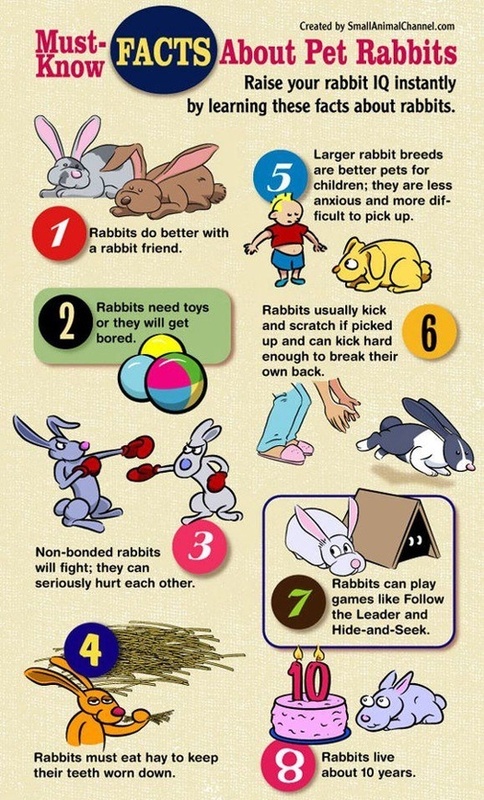 Most owners are not deliberately neglectful towards their pets, but our mindsets and the way in which rabbits are largely perceived, housed and even sold does little to alter or change those outdated perceptions, therefore Rabbits are still viewed and often treated as a cheap, easy, low maintenance, child friendly ‘starer pet’ and sadly, in a lot of cases, disposable! Rabbits are none of the above ‘statements’; their needs are complex and specific to their species, in truth, whilst they may actually be a small animal they are in fact a BIG responsibility! So please, before you even think about Rabbit Ownership, do YOUR research 1st, and when your ready, confident and prepared for all that rabbit companionship has to offer, hop along to your nearest Rescue and Adopt, don’t shop! With an estimated 67,000 rabbits in rescue during 21012 alone (RWAF Study) it’s not only the ethical choice but a sensible financial choice too! A reputable rescue will not only vaccinate but neuter the rabbits in their care prior to re-homing them in addition to having full a health check carried out on each animal to ensure that, as far as possible, any health problems have been found or treated. They will also assist and advise you on any concerns you may have to ensure the best for both bunny and owner in addition to offering help bonding should you wish to find a new friend for your existing rabbit or add to a group. With an adoption fee ranging from around £60+ per animal that is a BIG saving for the pet owner. Straight away you save, not just money but lives!! There’s a lot more to providing for the welfare needs than these small animal than you may realise. RWAF have some great resources which cover ALL Aspects of Rabbit care and welfare which you can find here. 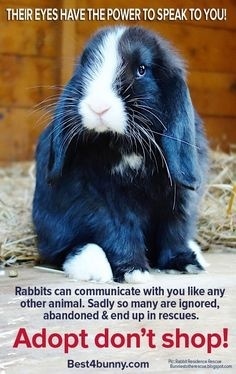 Here at Advocates For Rabbit Welfare we aim to be the voice for our silent sufferers and we are very active in pursuing change through a variety of means. We carry out regular awareness events and have a seat on the Scottish Parliament’s Cross Party Group on Animal Welfare. In addition to this we are also stakeholders with the Scottish Government’s Animal Welfare Division as a much needed voice for our most neglected pets, Rabbits. Additionally we are proud to have as our Charity Patron, Small Mammal Veterinary Specialist, Elisabetta Mancinelli DVM, CertZooMEd, ECZM Dipl (Small Mammals), MRCVS. Please support us and add your voice to the growing problem of neglect and help us improve Welfare legislation to give them similar rights as our Cats and Dogs whilst tackling unregulated breeding and sales.